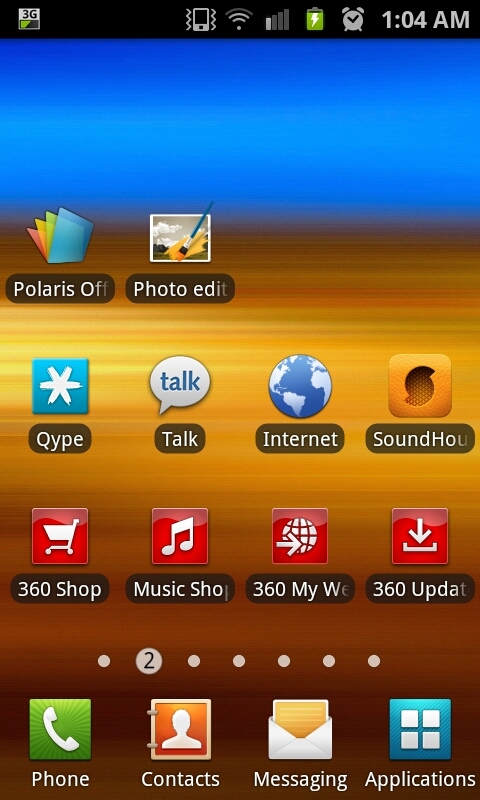 So after playing about with the Samsung Galaxy S2 I decided to try out some new apps. I originally set about searching for “Shazam”, a song recognition app that has often been given rave review and you often hear spoken about. Whilst searching for it I managed to find an app called “SoundHound” a completely different song recognition program that was free and promised things such as unlimited tags. As it was free and very highly ranked on the Android market I decided to give it a try. After downloading the app I tried it on a few tracks and quickly realised it worked well, it was recognising the tracks within 15 or so seconds and getting it right pretty much every time (the only failure it had was when it failed to hear the music due to it being too quiet). To use the app we really don't need to do much at all so here's a literal step by step. 1-When a song is playing we need to open the app, we can either do this by going through the app screens or using a shortcut/widget. 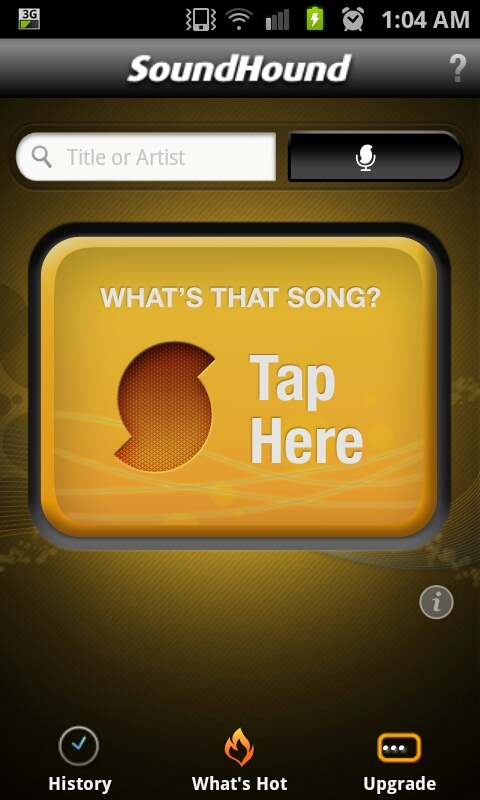 The app will recognise a large number of tracks and often very quickly, though where the app really comes into it's own is it's ability to then find things like the lyrics of videos for the songs you have found. The app, whilst also available in a paid format, is one of the truly exceptional free apps on the android market and is also currently available on iTunes. 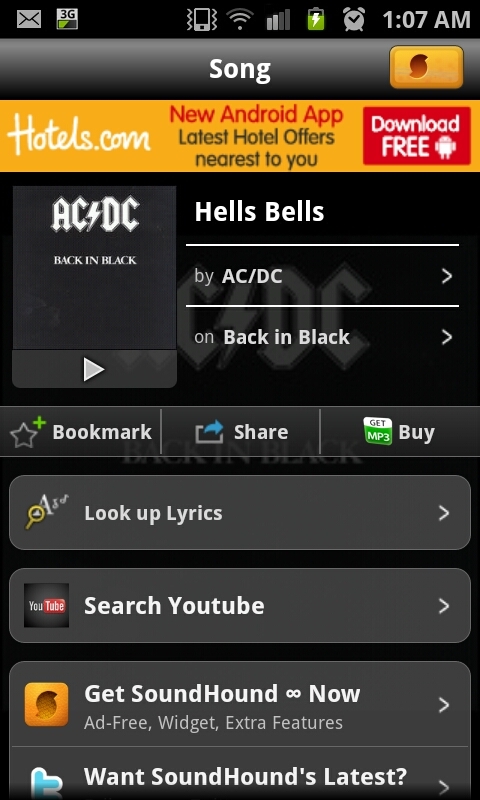 This is an example of the screen after it has recognised the track, showing the inbuilt google links to both the lyrics and YouTube, two of the features that make the App such an excellent one. If you've ever wanted to know what song it is you're listening to then use this free app, it's really an exceptional tool.